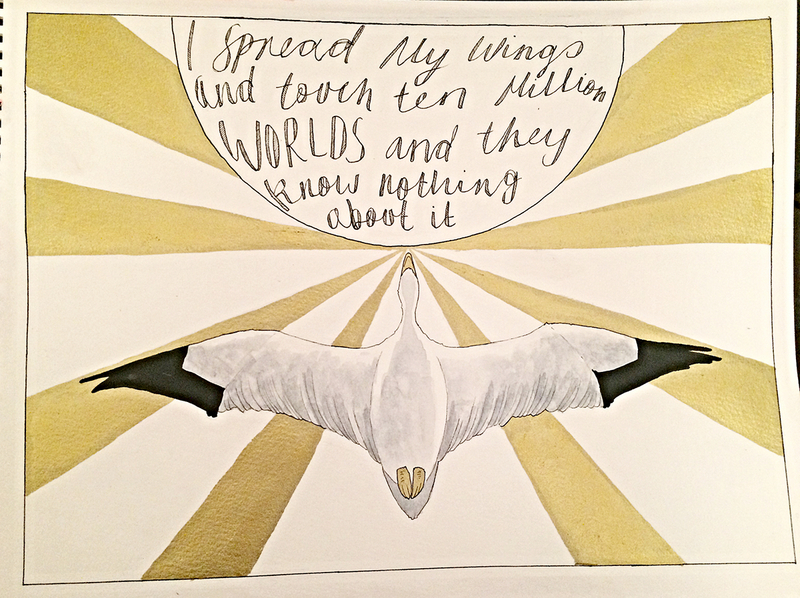 An illustration of a quotation from Philip Pullman’s His Dark Materials trilogy, with Serafina’s Snow Goose daemon. Commissioned for a birthday gift. 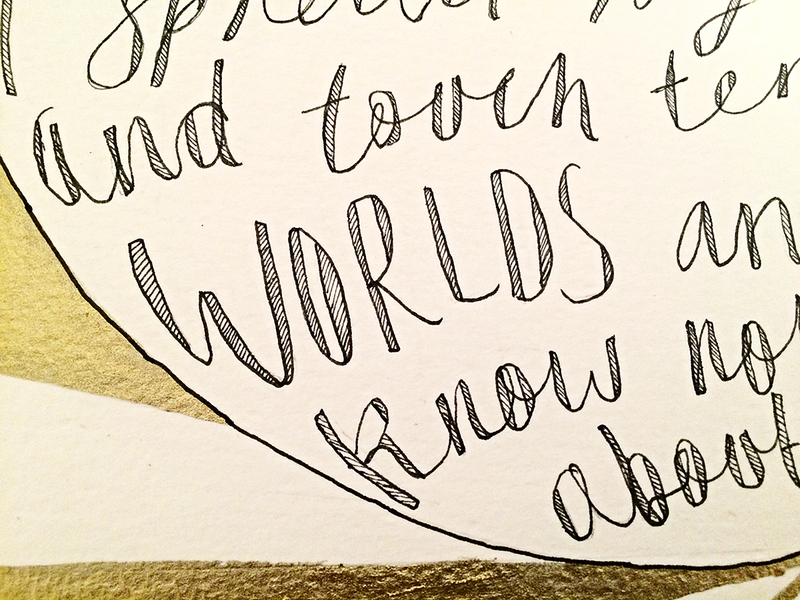 On A3 paper with: black ink, gold ink, and watercolour.